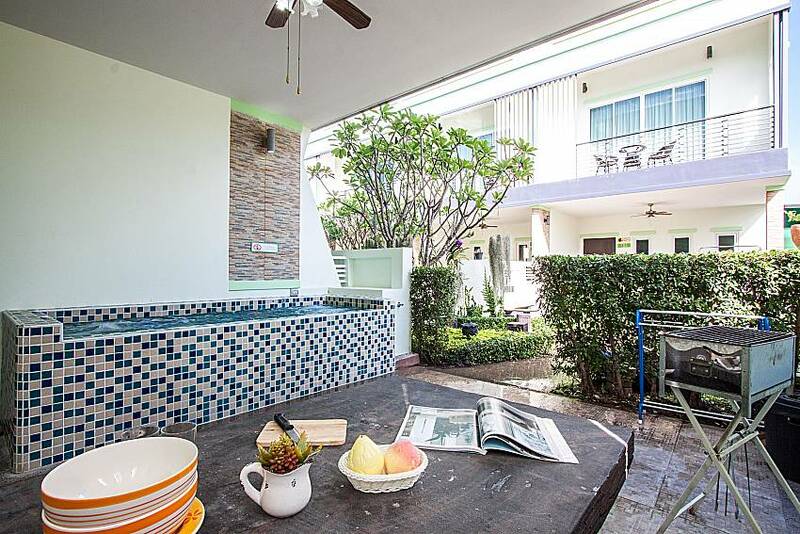 You will be enchanted by the unassuming elegance this small townhouse community possesses, with its many plants and natural corners. 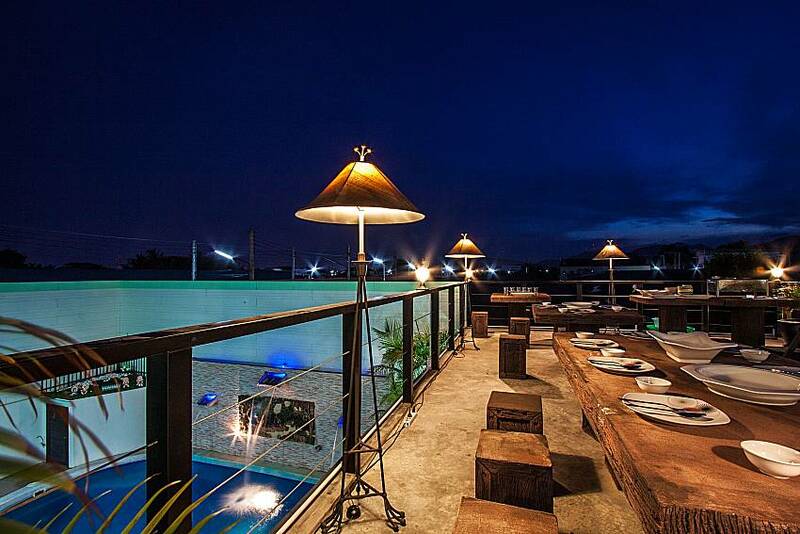 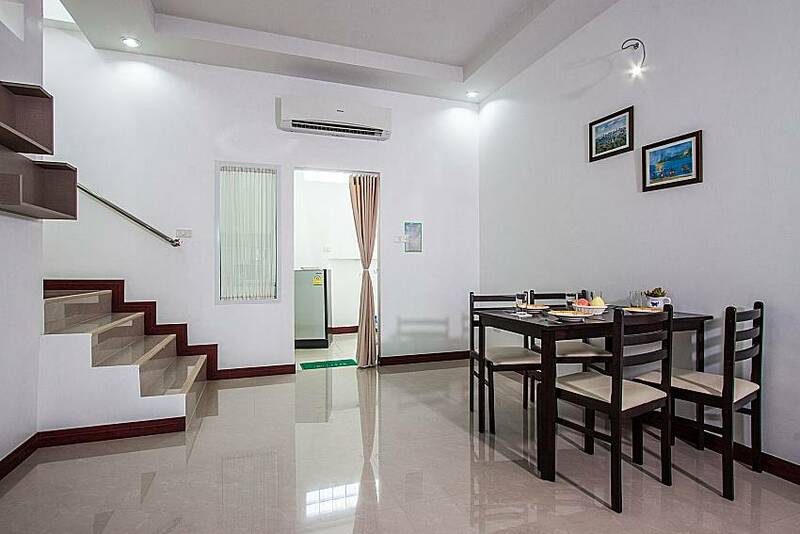 The atmosphere has a tranquil Asian feel to it while the houses are modernly decorated. 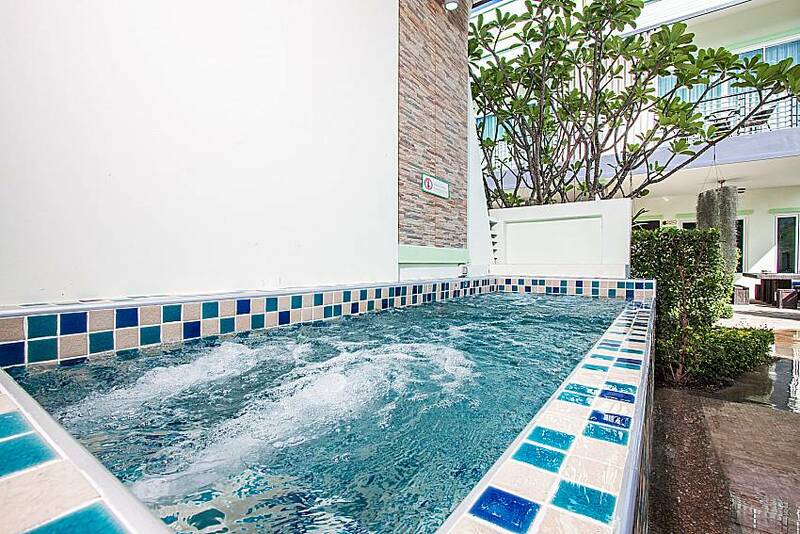 During the hot days you have a choice of cooling down in your own garden Jacuzzi or the communal pool with calming waterfalls; there is also an ice-cream shop on the spot. 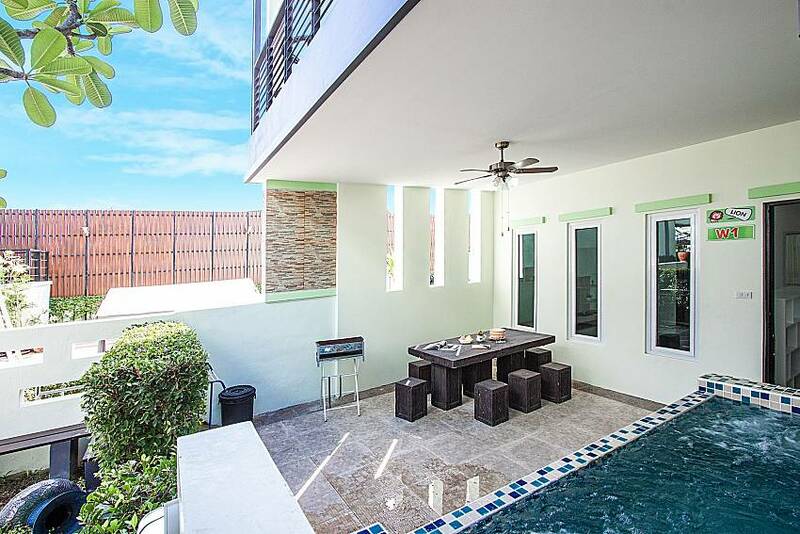 In addition, the property features a few exercise machines as well as a rooftop space you can utilize for sunset cocktails and dinners. 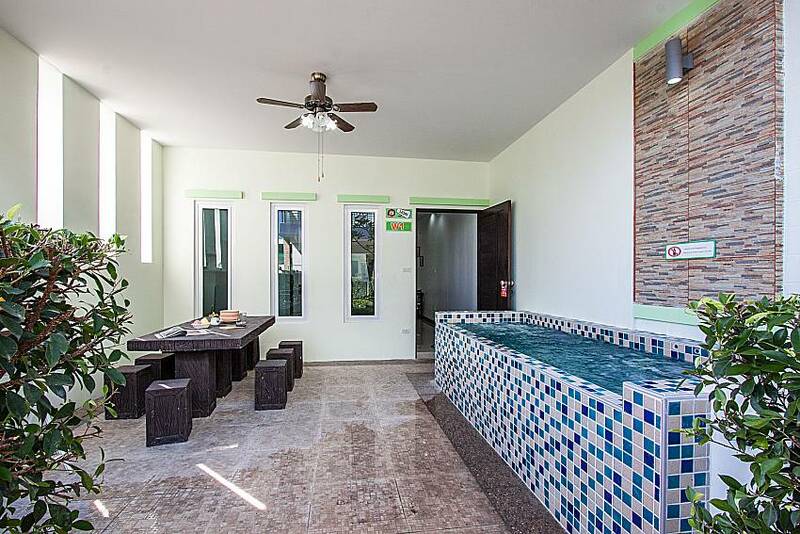 Each of the 2-bedroom 3-bathroom townhomes is equipped with all the amenities one needs on a holiday including extensive wardrobe space and a fully equipped kitchen. 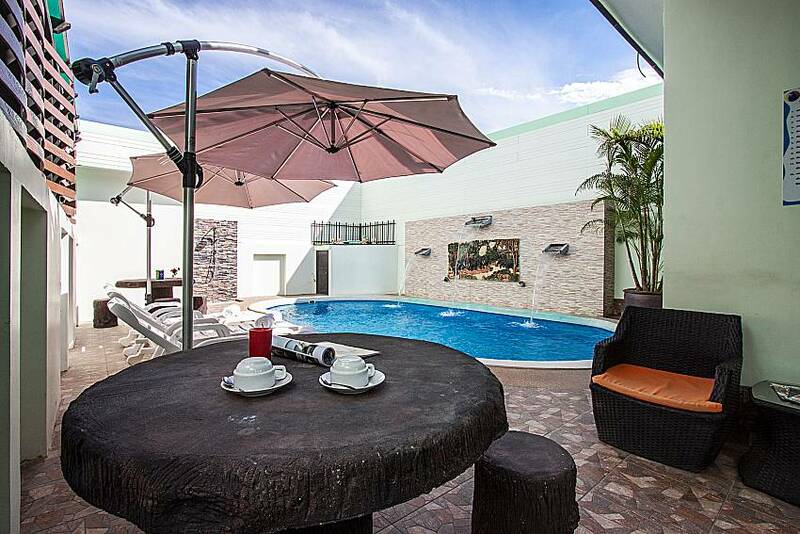 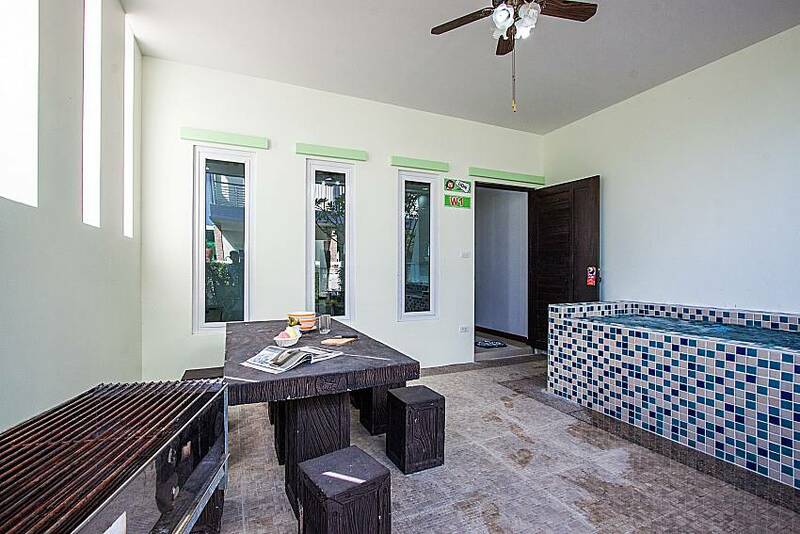 In the garden, next to the Jacuzzi are the charcoal BBQ and a table for 6 with the ceiling fan above. 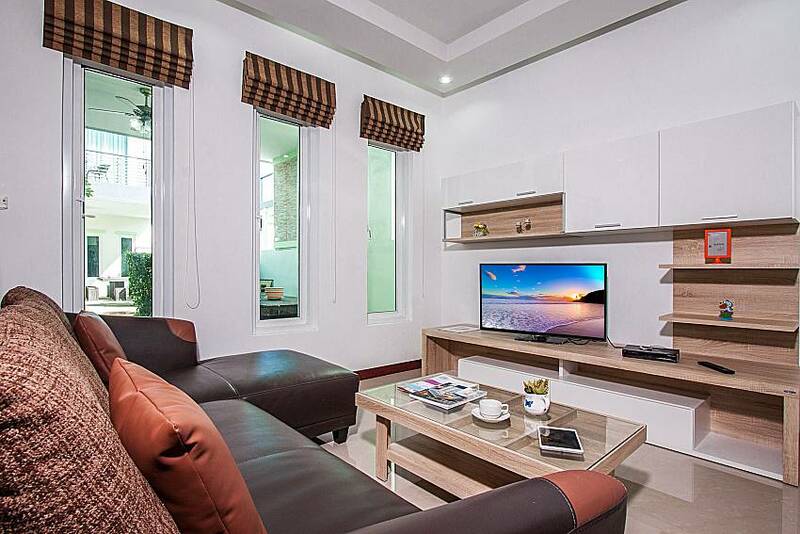 From the entrance you will come upon the open plan living room with a 40’’ TV featuring international channels and a small dining area with a table for 4; the fully equipped kitchen is straight ahead and the extra bathroom with shower is on the left. 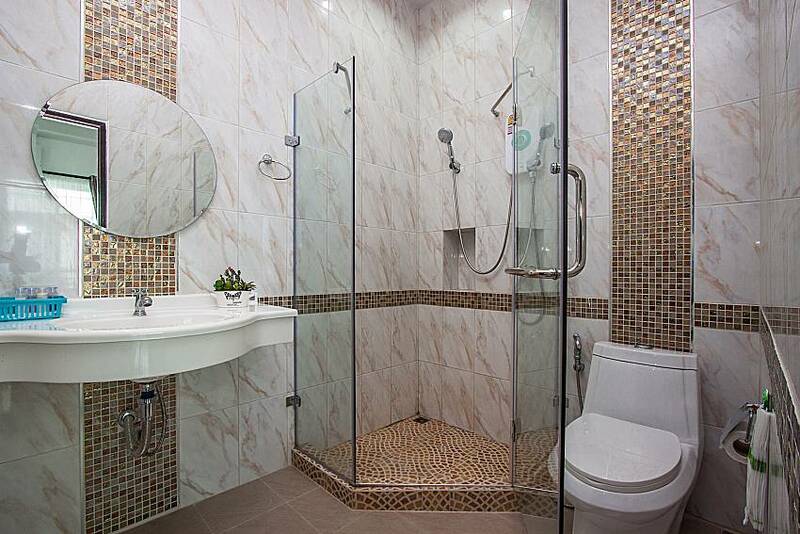 Both bedrooms are on the 1st floor, accessible via the stairs behind the extra bathroom. 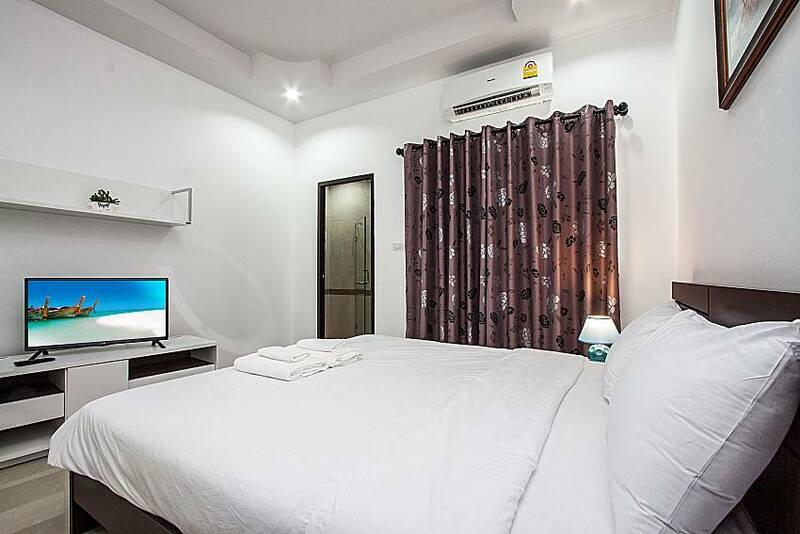 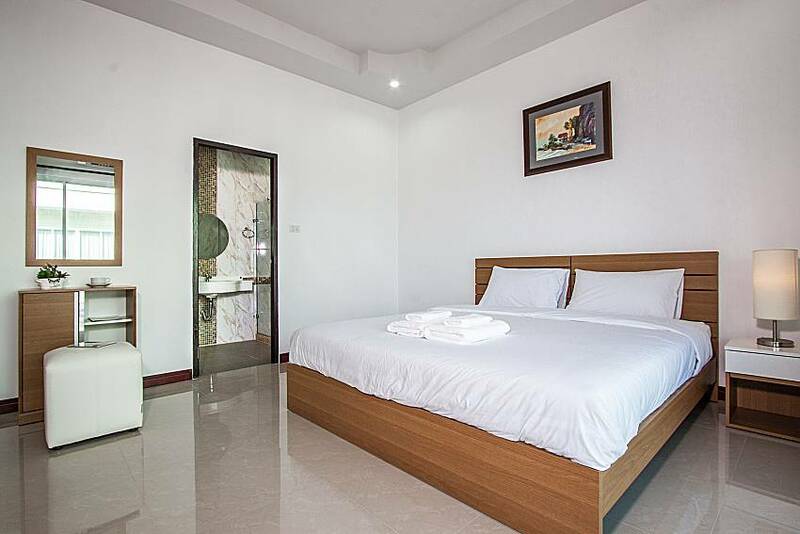 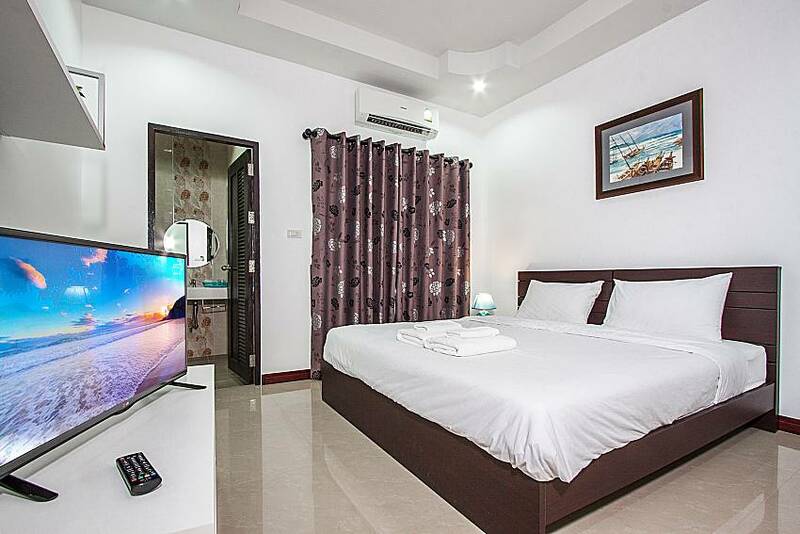 The rooms are air-conditioned and cozy, with 32’’ TVs; master bedroom also features a balcony with a coffee table for 2. 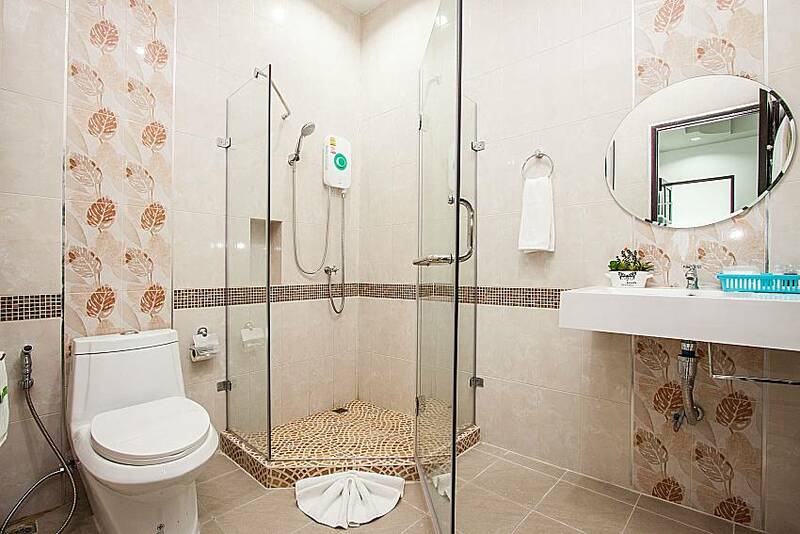 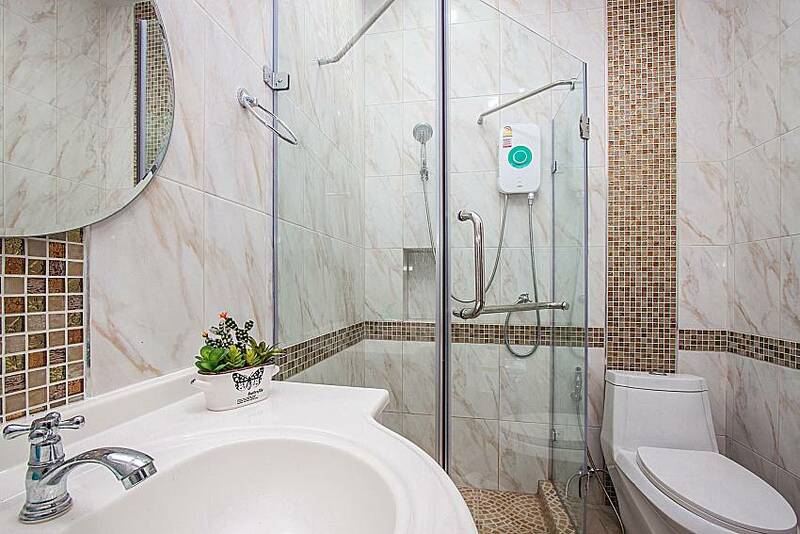 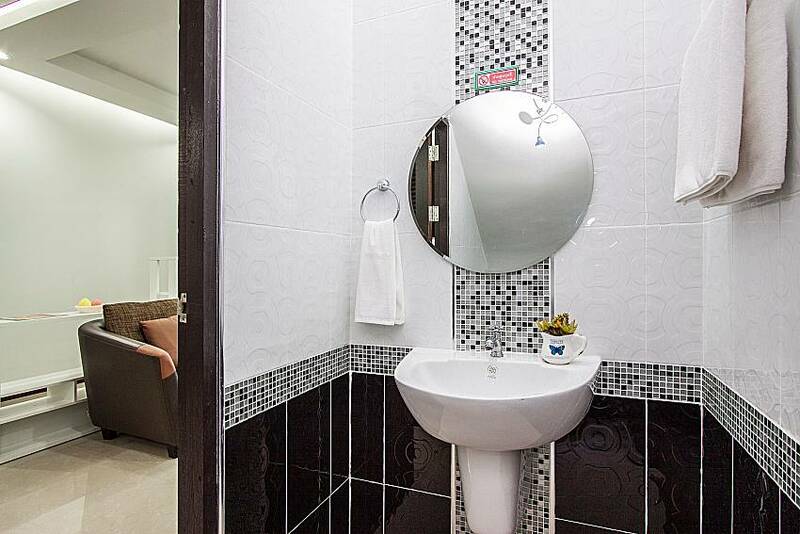 Both rooms have en suite bathrooms and the toiletries are provided as well. 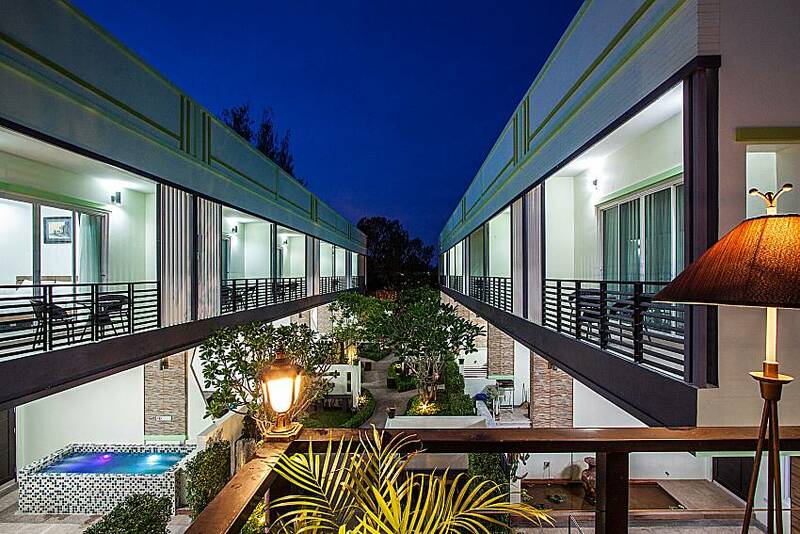 Please note: There are 7 townhouses available so it is possible to rent multiple units, depending on the size of your group. 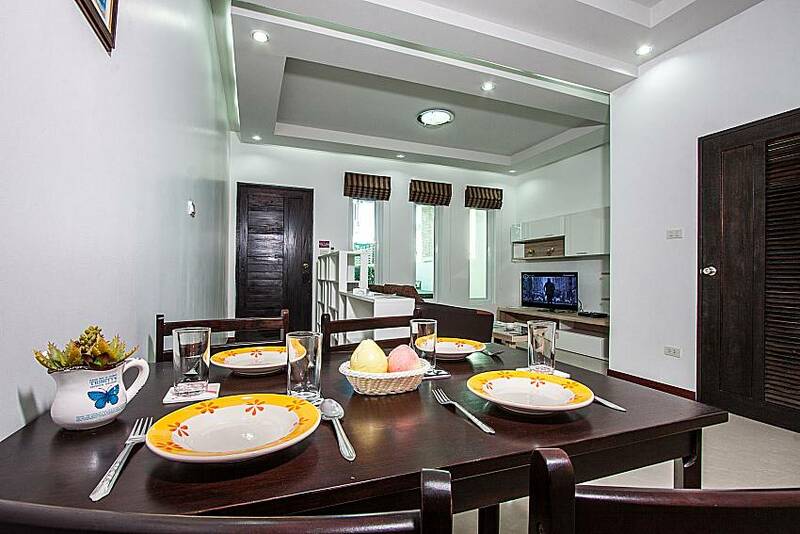 There are slight differences in the interior of each townhome. 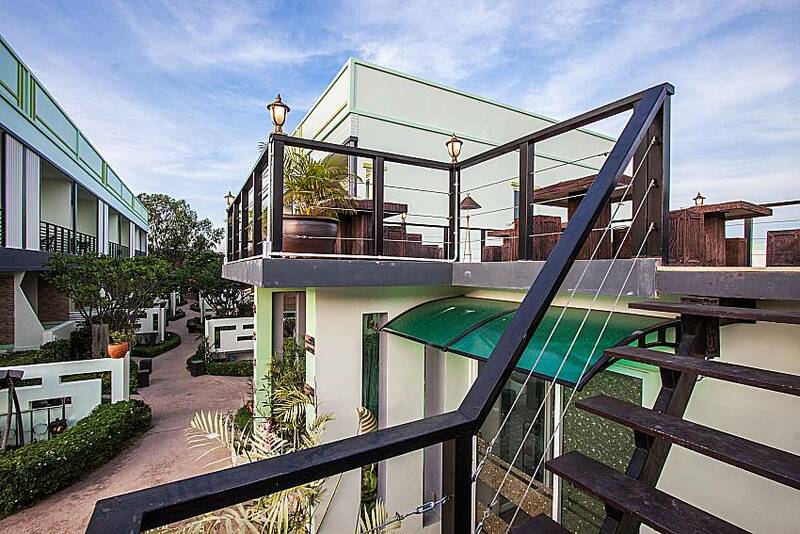 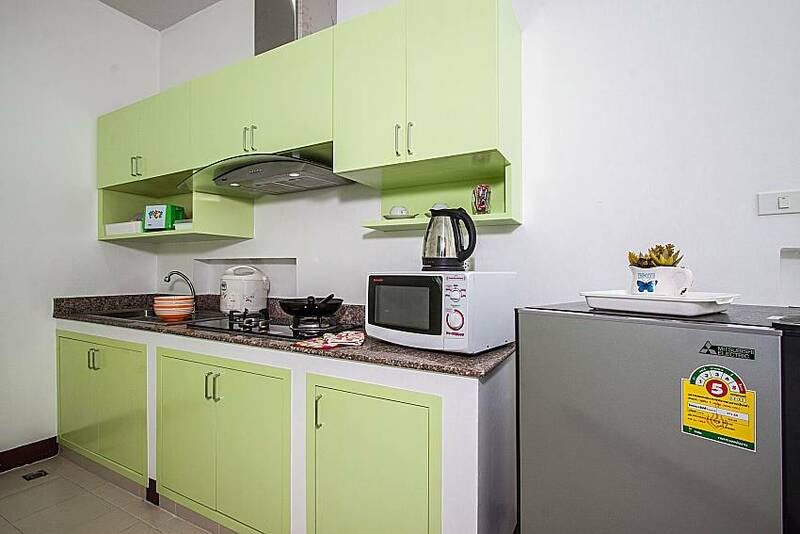 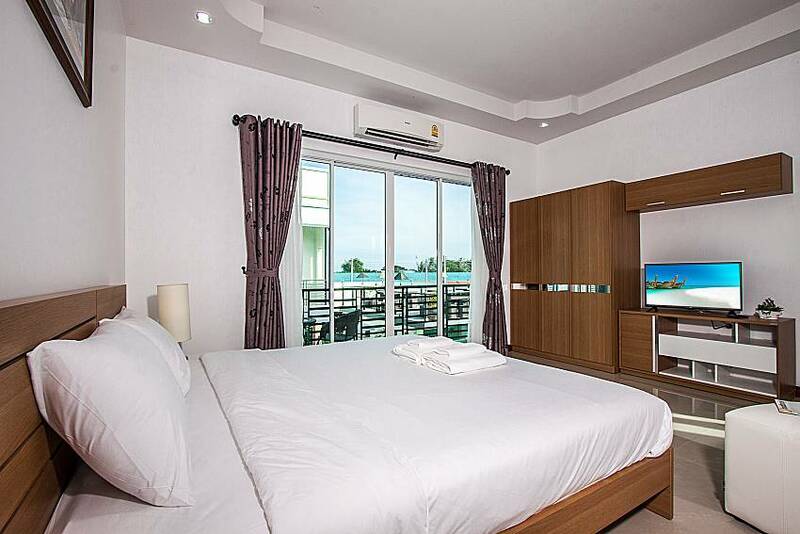 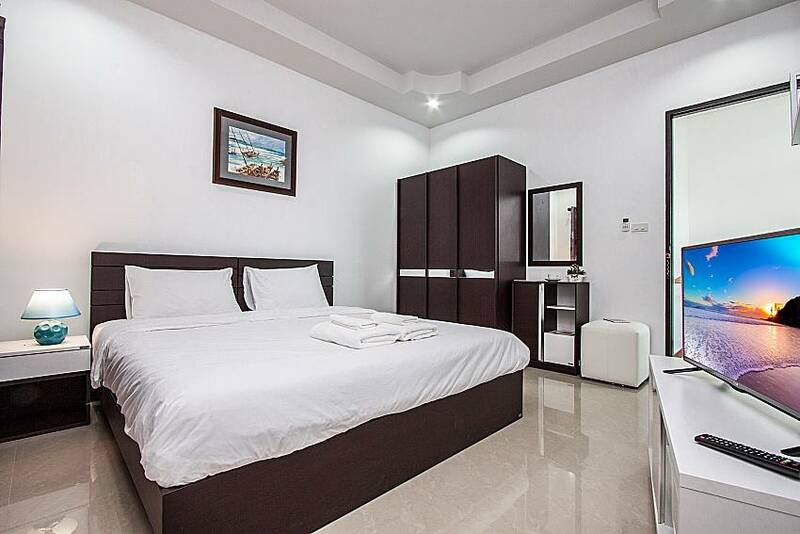 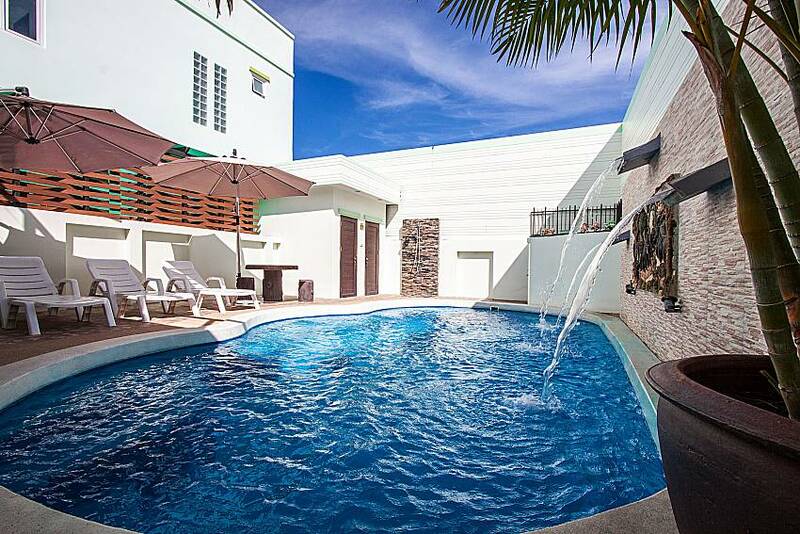 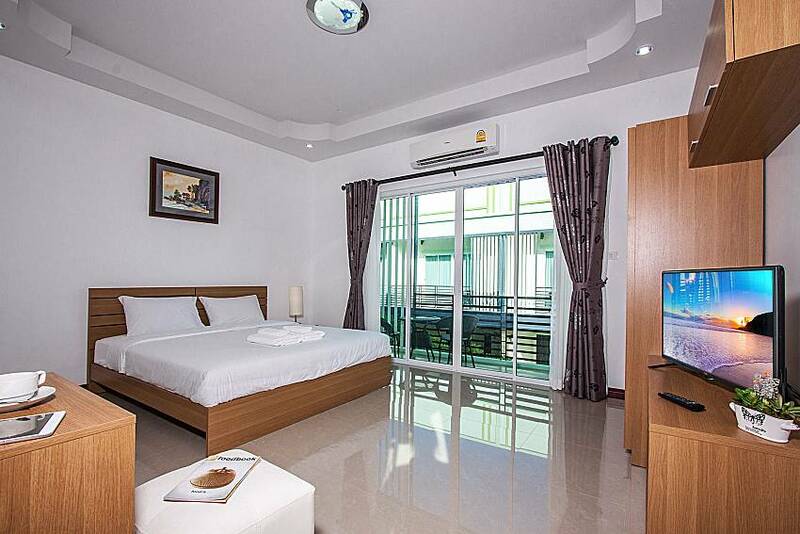 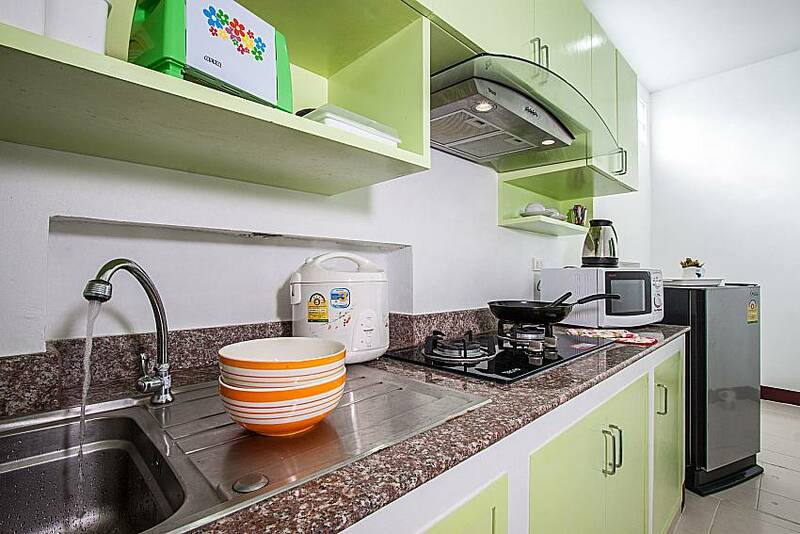 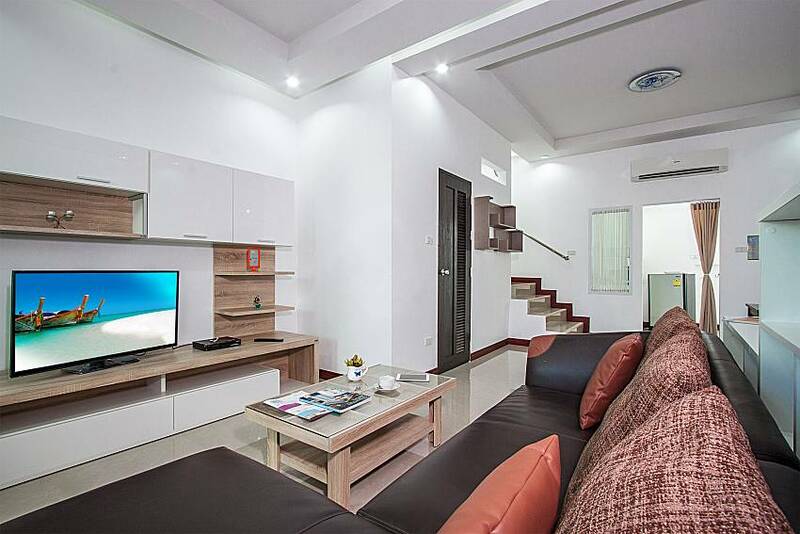 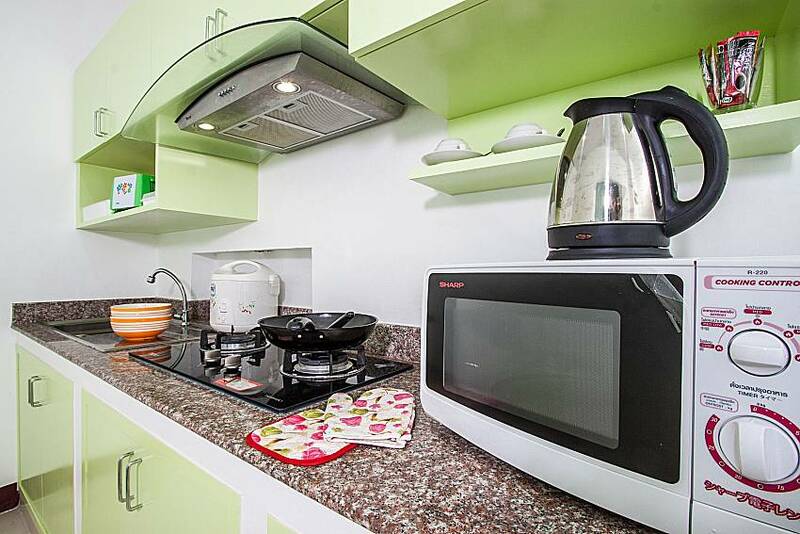 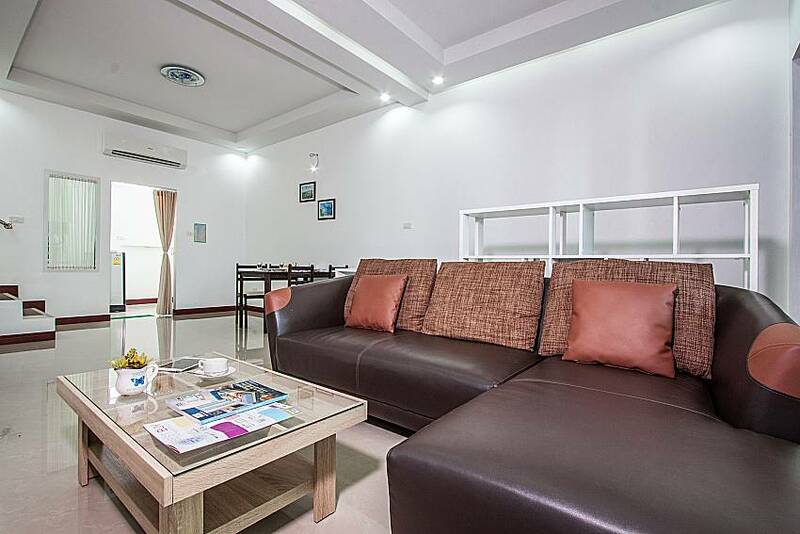 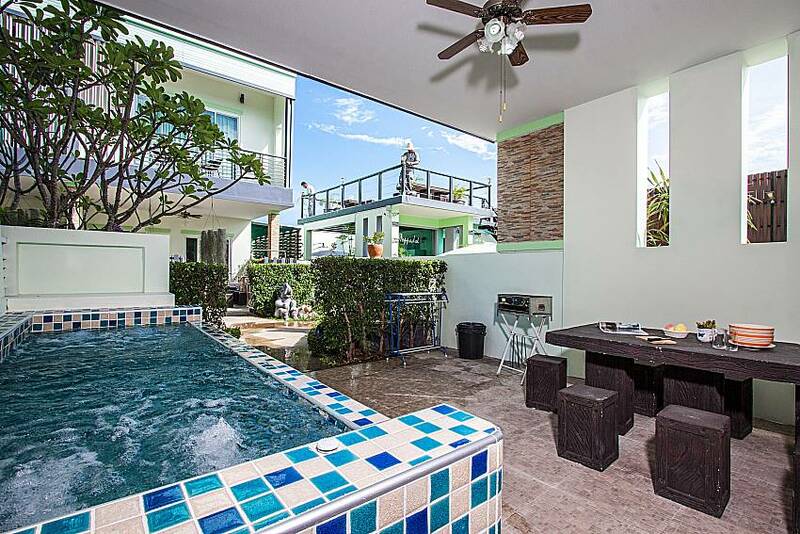 See more of our available holiday home rentals in Hua Hin.